3/ At 3:53 in the above video, the President continues, "Let me begin by saying that ah, once again, Ω full faith and support for America's intelligence agencies, I have a full-faith in our intelligence agencies - ..."
4/ "... whoops, they just turned off the lights - that must be the intelligence agencies. There it goes - okay - you guys okay? Good. That was strange. But that's okay." 5/ "So I'll begin by stating - that I have full faith and support for America's great intelligence agencies - always have. And I have felt very strongly that while Russia's actions had no impact - at all - on the outcome of the election - ..."
6/ "... let me be totally clear in saying that - and I've said this many times - I accept our intelligen-ce - community's conclusion that Russia's meddling in the two thousand sixteen took place - could be other people also ∆ - ah - 's a lotta people out there." 7/ A few seconds later, at 5:21 President Trump continues, "So I got a transcript - I reviewed it. I actually went out and reviewed a clip - of - ah, an answer that I gave ∆ and I realize that there is a need for some clarification..."
8/ "... It should have been obvious. I thought it would be obvious, but I would like to clarify just in case it wasn't. In a key sentence in my remarks, I said the word, 'would' instead of 'wouldn't'.."
9/ "... The sentence should have been, 'I don't see any reason why I wouldn't' or, 'why it wouldn't be Russia' - so ∆. Just to repeat it, I said the word, 'would' instead of 'wouldn't' - and the sentence should have been - ..."
10/ "... and I thought I, it would be maybe a little bit unclear on thee transcript or unclear on thee actual video ∆. The sentence should have been, 'I don't see any reason why it wouldn't be Russia'." 12/ ... the President shakes his head side-to-side in a classic "No" gesture (Illustrator). This is a verbal affirmation simultaneous with a nonverbal repudiation. 13/ The President repeats this same dynamic again during 4:43, as he's saying, "... I've said this,..." (just prior to saying, " ... many times - I accept our intelligen-ce - community's conclusion that Russia's meddling in the two thousand sixteen took place... ". 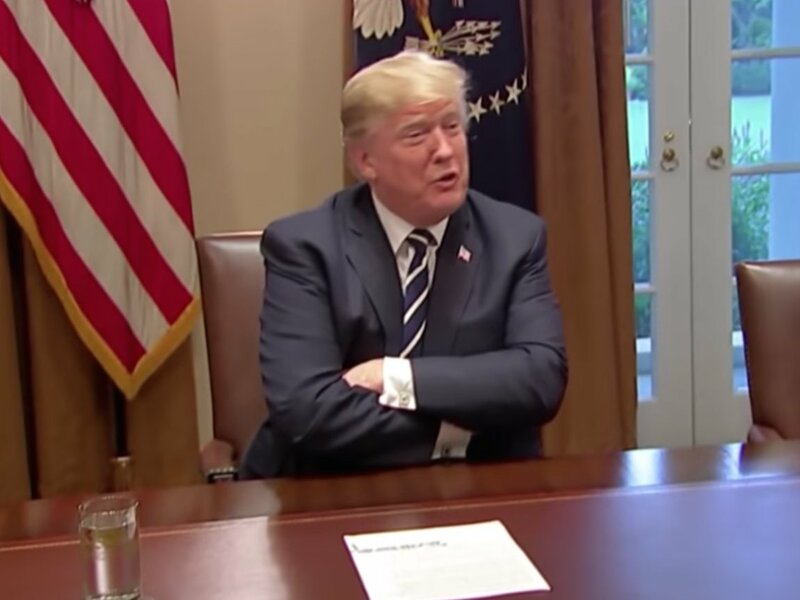 14/ On both of these occasions, the President's words are saying, "Yes", while his body language is saying, "No". 15/ Whenever the verbal and the nonverbal signals are in disparate, it's the nonverbal messages which tell the person's actual feelings. 16/ Of course, this side-to-side head shaking does is captured in a still image - please watch the video to fully appreciate this subtlety. 17/ Now go back to just before the lights went out. The image immediately above was captured during 4:04. 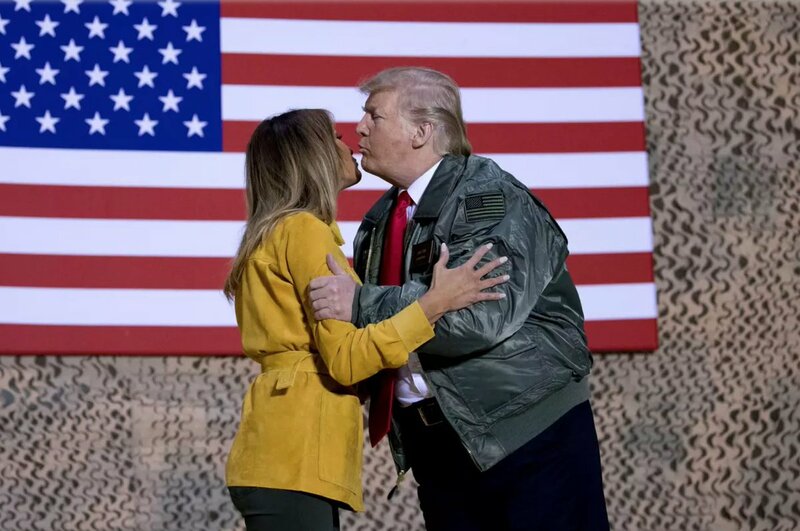 At this moment, Donald Trump is leaning forward with his finger's intertwined. The is frustrated but feeling fairly alpha in this moment. 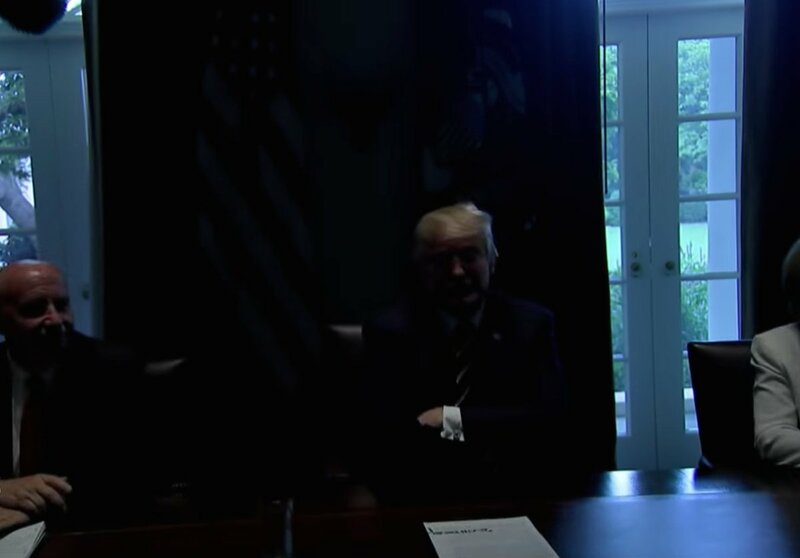 19/ And - as soon as the lights come back on, we can see the President has sat back in his chair and crossed his arms (and more specifically, with his hands hidden). 20/ Donald Trump's change in configuration when the lights were out displayed his defensiveness, low confidence, and a need for protection. 21/ Donald Trump didn't feel secure when the lights went out - rather he felt threatened. 23/ ... the President left out the word, "I have" at the beginning of the sentence saying, "... full faith and support for America's intelligence agencies". 24/ If a person says, "Sorry", or "Please forgive" - these carry much less impact and considerably less honesty rather than saying, "I'm sorry" or "Please forgive me". 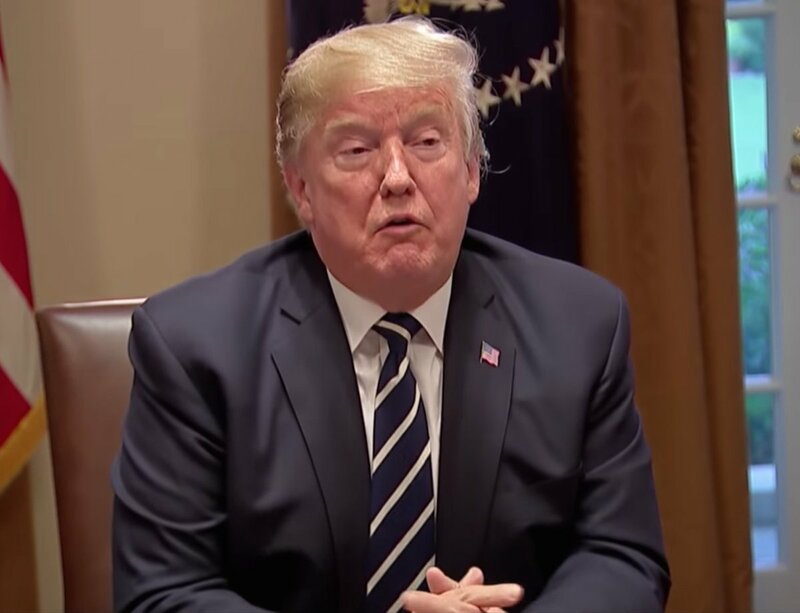 25/ By omitting the words, "I have" at the beginning of his statement - Mr. Trump betrays his lack of ownership in his own words - his lack of faith and support for America's Intelligence agencies. 27/ One during 4:58 (image immediately above) just after he says, "... I accept our intelligen-ce - community's conclusion that Russia's meddling in the two thousand sixteen took place - could be other people also ..."
28/ Another during 5:30, just after saying, "... So I got a transcript - I reviewed it. I actually went out and reviewed a clip - of - ah, an answer that I gave ..."
29/ Yet another Tight Tongue Jut during 5:56 just after he says, "... 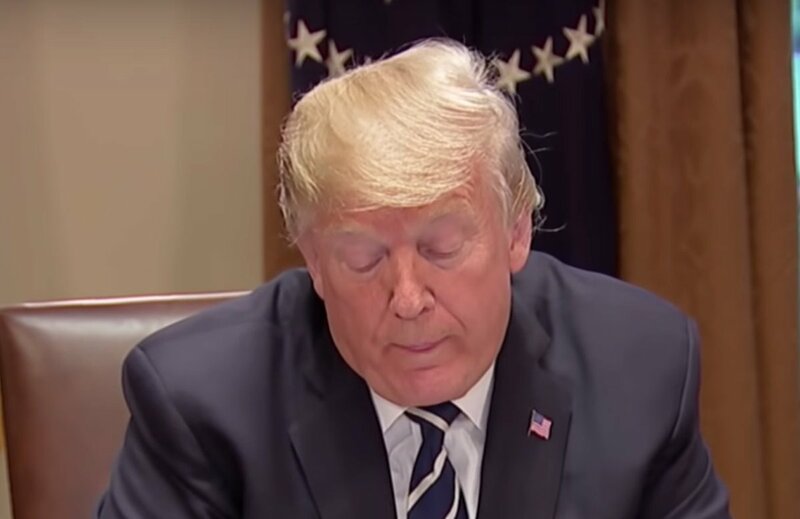 The sentence should have been, 'I don't see any reason why I wouldn't' or, 'why it wouldn't be Russia' - so ..."
30/ And once more during 6:10, just after he says, "... and I thought I, it would be maybe a little bit unclear on thee transcript or unclear on thee actual video ..."
31/ A Tight Tongue Jut demonstrates the thought-emotions of Disdain, Disgust, and Repulsion. Donald Trump is feeling these strong emotions during his attempt at damage control. The President hates that he is doing so because it feels like an apology. 32/ He doesn't want to admit he was wrong. In this context, it's helpful to think of these multiple Tight Tongue Juts as nonverbal metaphors of him kicking and screaming as he's dragging himself - refusing to admit he's wrong. 33/ Be careful not to mistake a Tight Tongue Jut for a Loose Tongue Jut or a Wide Open Tongue Jut - for they all have completely different meanings. 34/ There are so many other very obvious verbal difficulties with the President's walk-back that have been pointed out by a multitude of others. 35/ The entire context of Donald Trump's Helsinki Press Conference with Vladimir Putin must be taken into account - not just a simple "would" vs. "wouldn't" exchange. 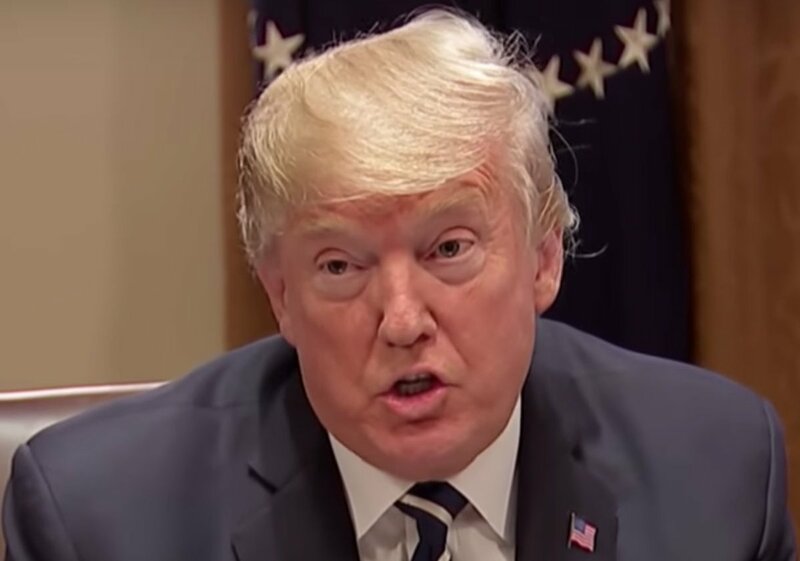 36/ For example, at the Summit the President openly disparaged America institutions while professing that he thought it was a good idea to take up Putin's offer of having Robert Mueller's team go to Russia. 37/ Even during his attempt to fix his claimed, one-word problem (after 27 hours of not addressing it), he once again can't resist going off-script saying, "could be other people also - ah - 's a lotta people out there". 38/ Moreover, why did the President feel the need to read from prepared notes, if all he had done was misspoken a single word? In this context - as with an apology - this action alone projects strong insincerity. 39/ SUMMARY: President Trump's nonverbal behavior during yesterday's walk-back regarding his Helsinki press conference was highly indicative of deception. His words in Helsinki were indeed intentional. 40/ Multiple examples of verbal statement analyses also support this conclusion. In addition, Donald Trump had disdain, disgust, and was repulsed when making his statement. 41/ Intriguingly, and as odd may sound, the President - while in the White House - felt threatened, defensive, and the insecure when the lights momentarily went out. Post #HelsinkiSummit assessment: What we’ve seen over the past week is a confirmation of trends leading up to the NATO Summit. I will give a scan of the environment and then discuss implications for US allies, including Canada. For the US: 1) Trump sees no value in the US lead world order. He does not see allies but only “competitors”. Trump seems to especially loath traditional US allies who he sees as engaging in practices that hold the US back because of claims of “friendship”. This will not change. 2) Trump prefers disruption to deal making. It plays better with his base. But beyond that, Trump does not like to prepare or engage in the heavy-intellectual lifting required in order to actually get a deal. This is why he considers his handshake with Kim Jung Un a “contract”. Today’s indictment is a result of the hard work of America’s law enforcement and intelligence officials who dedicate their lives to bringing to justice those who wish to do us harm. These revelations add to a body of evidence confirming an extensive plot by #VladimirPutin’s government to attack the 2016 election, sow chaos and dissension among the American electorate, and undermine faith in our democracy. 1) This is a special #Qanon update. Q has not posted today, but President #Trump tweeted something relevant to past Q posts. 2) This morning, President #Trump Tweeted this, suggesting that Loretta Lynch may have struck a deal with Bill Clinton during their Phoenix #TarmacMeeting for a SCOTUS (or Attorney General) spot if Lynch saw to it that Hillary wasn't prosecuted. 3) #Qanon posted this on 4chan on October 31st, 2017. It outlines much of Q's mission.